CHICAGO — Every region in the country posted better year-over-year drycleaning sales in November, led by the South, where sales were up 5.1% on average, according to results of this month’s American Drycleaner StatShot survey. In the Northeast, year-over-year sales were up 4.6%. Dry cleaners in the West saw an average sales increase of 3.9%. 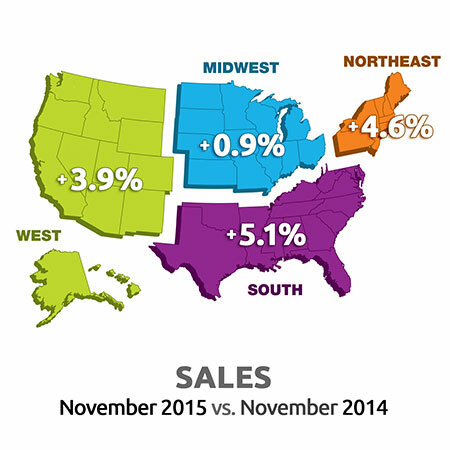 In the Midwest, year-over-year sales in November were up only 0.9%. Many parts of the United States are experiencing milder-than-normal weather, and it’s having an impact on drycleaning sales—but it varies, depending on which cleaner you ask. “Things are definitely better, and there is no question the warm weather has helped us,” writes a respondent from Ohio. “Warmer weather meant fewer sweaters and coats this fall,” offers a cleaner from Massachusetts. “We need snow up north to send more customers to Florida,” writes a respondent from the Sunshine State. Marketing is an important part of the drycleaning business, and every region reported spending more on marketing in 2015 than the prior year, on average. The Northeast posted the largest spending increase among all regions: 12.7%. 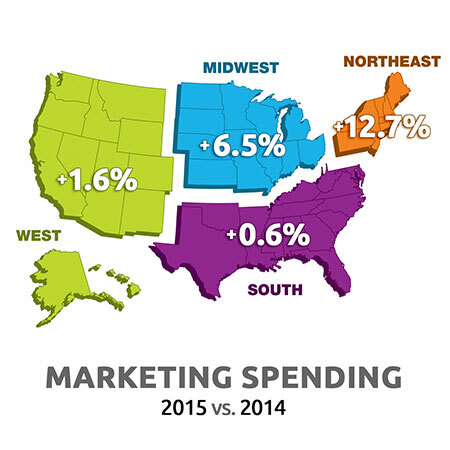 Marketing spending was up an average of 6.5% in the Midwest, 1.6% in the West and 0.6% in the South. One cleaner believes the StatShot survey may not be painting a full picture of drycleaning market conditions. The StatShot surveys the drycleaning trade audience every month on a variety of financial issues. While the survey presents a snapshot of market performance, it should not be considered scientific. American Drycleaner audience members are invited via e-mail to participate anonymously in the unscientific surveys, which are conducted online via a partner website.